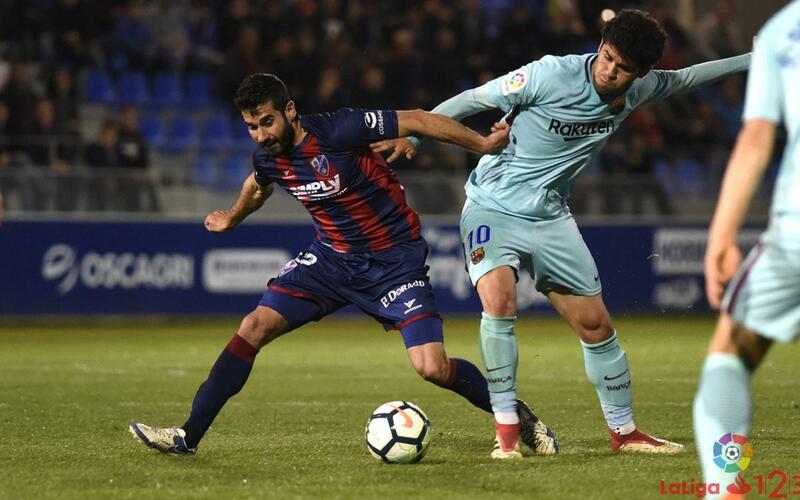 Barça B were unable to get a positive result on their trip to El Alcoraz as they lost to SD Huesca (2-1). Aleñá’s penalty gave them a lead but goals from Melero and Ávila turned the game around. The first half started with little to choose between the two teams. The blaugranes had more of the ball and had some chances through Marc Cardona, Nahuel, Aleñá and Monchu, but they couldn’t find the finish. The home team also threatened Varo’s goal: however, Gerard López’s side looked strong in defence during the first half. The second half saw all the goals of the game. It started with a penalty that Carles Aleñá coolly dispatched, for his tenth of the season, to give the blaugranes the lead in the 57th minute. However, three minutes later Huesca managed to level the scores through Melero. They soon completed the turnaround with the second from Ávila (2-1). Gerard López made some changes to try and turn the game around with Monchu doing his best with shots from distance. However, it wasn’t enough on the night and they are now in 19th place with 37 points. Next Sunday, the blaugranes receive Rayo Vallecano at the Miniestadi at 4.00pm CEST as they try and move out of the relegation zone.